Quality Body Works, a staple in the Humboldt County collision repair business since 1978, welcomes Ross Creech as General Manager. 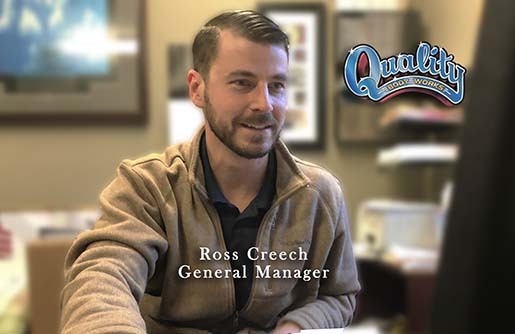 Ross, son of current co-owner, Dave Creech, returns to Humboldt County after a career as General Manager with Mission Linen in Central California. Ross joined Mission Linen after graduating college and managed over 80 Mission Linen employees in their Santa Maria, California facility. Even though Mission Linen is one of the largest linen and uniform processing facilities in the world, they are a family-based business. Ross stated this was one of the greatest draws to join Mission Linen and is excited to be back as part of his family’s business. Ross, becomes the third-generation linage of Quality Body Works owners and managers that began with his grandfather, Jim Creech in 1978. Current co-owners, Dave Creech and Skip Creech (retired in 2018), express both pride and confidence in Ross’ ability to carry on the Quality Body Works creed of “Saying what you do and doing what you say” as part of their business model based on the Golden Rule of treating people the way a person would treat themselves. Our paint spray/bake booth uses new ‘Direct Fire’ technology so that we use less energy in the process of returning your vehicle to its pre-accident condition. We want you to know by using Quality Body Works to repair your vehicle, you are doing your part to help keep our community clean for generations to come. For over thirty-years, owners, Jim and Dave Creech ensure that we maintain our reputation for treating customers like family. We show compassion in your time of loss and stress. We’re here for you, and we’ll get you through it. State-of-the-art facilities, the most advanced equipment, highly trained and certified craftsmen who care, factory-compatible paints, and our written warranty add up to your satisfaction. Most importantly, we take the Golden Rule to heart and strive to live by it. We say what we’ll do, and do what we say. 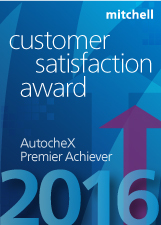 To meet our customers needs while meeting and exceeding their expectations by doing a high-quality, long-lasting repair on their vehicle in a reasonable length of time.